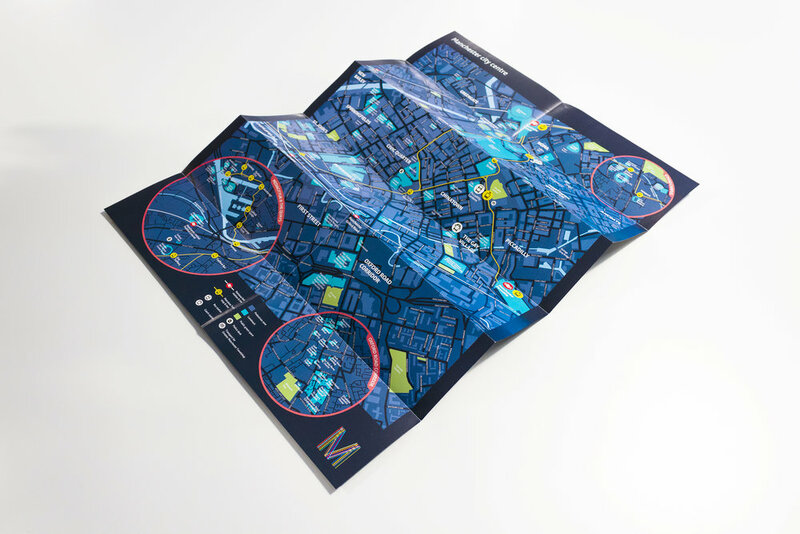 Spaceagency has designed the new Manchester city centre map as part of the Greater Manchester Connected Wayfinding project for Transport for Greater Manchester, in collaboration with Manchester City Council. 250,000 city centre maps have been distributed to visitor information centres, hotels, stations and the convention centre. 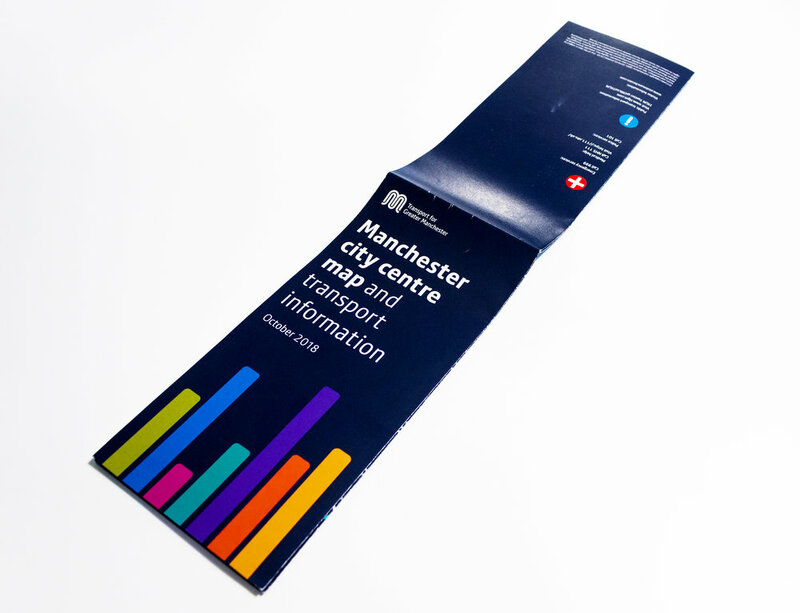 The vision for the Connected Wayfinding project is to create an outstanding pedestrian urban environment in Manchester that puts pedestrians at the heart of the movement strategy for the city and wider region. The project aligns with the City Centre Transport Strategy 2040, which focuses on creating an integrated, well coordinated transport system which supports walking and cycling alongside easy modal interchange to the public transport system. Spaceagency is currently designing the pilot scheme for a city centre roll out of pedestrian totem signs as part of the integrated pedestrian and transport information system. Design proposals have been scrutinised by key stakeholders, including TfGM’s disability design reference group, to ensure accessible product sizing, information hierarchy, legibility and Equalities Act compliant text sizing. © Crown copyright and database rights 2018 OS 0100022610.